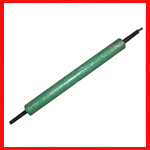 Polyurethane transfer rollers are abrasion resistant, reduce noise, are non-marking, and lightweight. Precision rollers are available as: concave roller, convex roller, straight roller, hubbed roller, v-groove roller, bearing cover, coated bearing, bushing, and more. 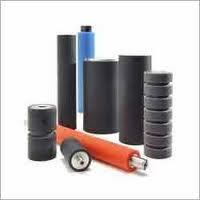 Transfer rollers are predominantly used by mechanical copiers and print makers to copy images onto physical mediums. 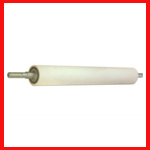 It is important that you invest in transfer rollers that deliver necessary performance and serve you for a long time. 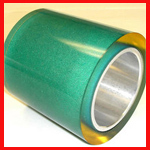 When you choose transfer rollers made from polyurethane, you are choosing an abrasion-resistant and solvent-resistant product with very good noise abatement properties. Our polyurethane transfer rollers are available with a number of options in bearings and hub material. We can also help you zero in on the right polyurethane formulation depending on your load, speed, and application needs. We offer custom solutions that allow you to match your automation, equipment, product and machinery requirements with the right polyurethane transfer roller design. 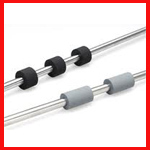 Competitive pricing and timely deliveries are a given at Gallagher Corporation.